Featuring itineraries down the Mississippi River, the American Queen and American Duchess are both dry-docked for maintenance and inspection in Houma, LA, while the American Empress is in Portland, OR. 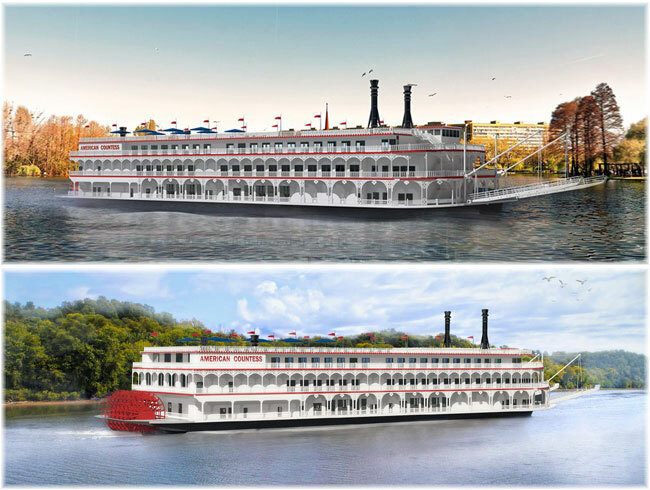 The latest addition to the paddlewheel fleet, the American Countess, is undergoing significant reconstruction and getting ready to sail America’s heartland in 2020. Finally, the M/V Victory I and M/V Victory II are in the middle of extensive renovations, getting ready to explore the Great Lakes, New England and Canada this May.